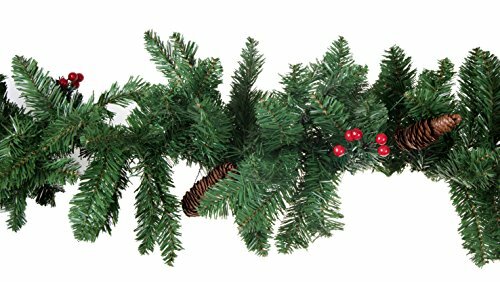 • Measuring 9' x 13", this garland is perfect for covering long distances or large items. • Comes decorated with pine cones and decorative berries. MATCHES ANY DECOR THEME: Perfect for railings, door frames, and more, this garland makes a stunning impression anywhere in the home. It features beautiful pinecones and berries accents thoughout! GREAT DESIGN: Measuring 9' x 13", this garland is perfect for covering long distances or large items. Everything from the stem to the branches of this garland is posable so you can easily get a picture-perfect look.